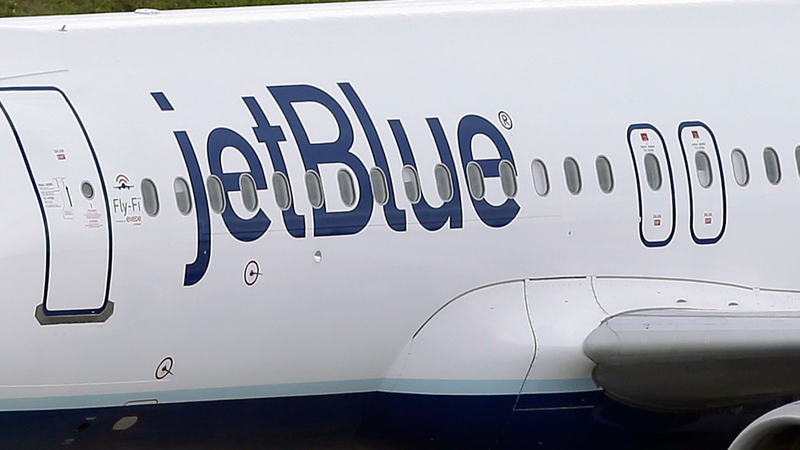 NEW YORK -- A woman who claims her family was escorted off a JetBlue flight on Tuesday says a flight attendant "antagonized" her family prior to the confrontations that she says led all nine family members to being detained, ABC News reports. Keren Kimchy and her family -- a total of five adults and four children -- had boarded the flight at New York's John F. Kennedy International Airport and were headed to the Dominican Republic. Kimchy, who lives in N.Y., said her family was escorted off the plane and "detained for several hours" and she posted the incident to Facebook. ABC News confirmed the details of her post with Kimchy by email. In her post, Kimchy claimed the first of two confrontations took place when her brother-in-law was trying to put his bags in the overhead bin as the plane was boarding. "As we were setting down all our stuff in the overhead bins, she had asked my brother-in-law with an attitude, if he could move out of the way that other passengers could go through," Kimchy wrote on Facebook. "He responds 'ok, could I just put my bags down.' Immediately, she started shooting very loudly 'this is my plan, this is my show, are we going to have a problem, if so I could move you to the next flight with no problem!' And she went about her business. After all the passengers boarded she came back to him and asked him again with an attitude, 'is every thing is ok, are we going to have a problem!' She was antagonizing him for no reason! Needless to say, security came and escorted him off the plan [sic]." According to Kimchy, JetBlue then asked all of the remaining eight family members to leave the plane because of their "behavior." Kimchy said the flight attendant had referred to her family as "animals" over the loud speaker. JetBlue sent the following statement to ABC News: "We love welcoming families on JetBlue, and we fly thousands of families every day without incident. The decision to remove someone from a flight is never taken lightly and happens only if it is clear that the customer poses a risk to the safe and comfortable operation of the flight."